laura doodles: Illustration Friday - Suzy and Sam's "Beginning"
Illustration Friday - Suzy and Sam's "Beginning"
"Moonrise Kingdom," was such an enjoyable movie. Keeping with the theme of "beginning," I decided to create a pop-art type piece that represented the two main characters, Suzy and Sam's, first encounter. After sneaking into the girl's makeshift dressing room during a play Sam points to Suzy and asks, "What kind of bird are you?" 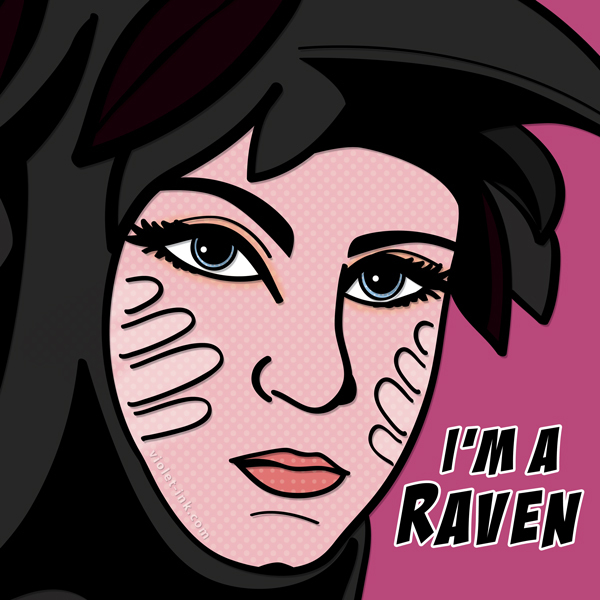 In her elegant black costume, wide eyed, she replies with, "I'm a Raven." I hope everyone is having a good week so far and I hope you enjoyed my Illustration. Oh, and go see that movie if you haven't!! Thanks :) I sort of disappeared for a while with everything that was going on in my life but I'm slowly trying to get back into the swing of being active online again!! I missed blogs. So glad to see you again too!! Gahh! Back to Blogging - Illustration Friday "Time"
Hey my name is Laura. I'm a freelance Graphic Designer. I like kittens and hairspray. Let's be friends?